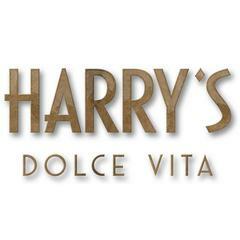 Harry's Dolce Vita is an Italian restaurant in the heart of Knightsbridge, serving breakfast, lunch and dinner with an extensive Italian wine list and classic cocktails.<br><br><br><br>Reminiscent of 1950s and 1960s Italian glamour, Harry's Dolce Vita is a mixture of legendary Italian charm, delicious unfussy food, inspired cocktails, stylish decor and some good old fashioned fun. <br><br><br><br>Within the restaurant colourful Murano glass, silky Fortuny fabrics, vintage brass fixtures and rich tanned leather banquettes give the room a refined yet vibrant look. Photos and artwork decorate the walls which celebrate 'la dolce vita. '<br><br><br><br>Dinner is a very relaxed and social gathering. Seasonal Italian sourcing inspire the menus through aperitivi, pizze, paste, pesce e carne, contorni, and of course the dolci.